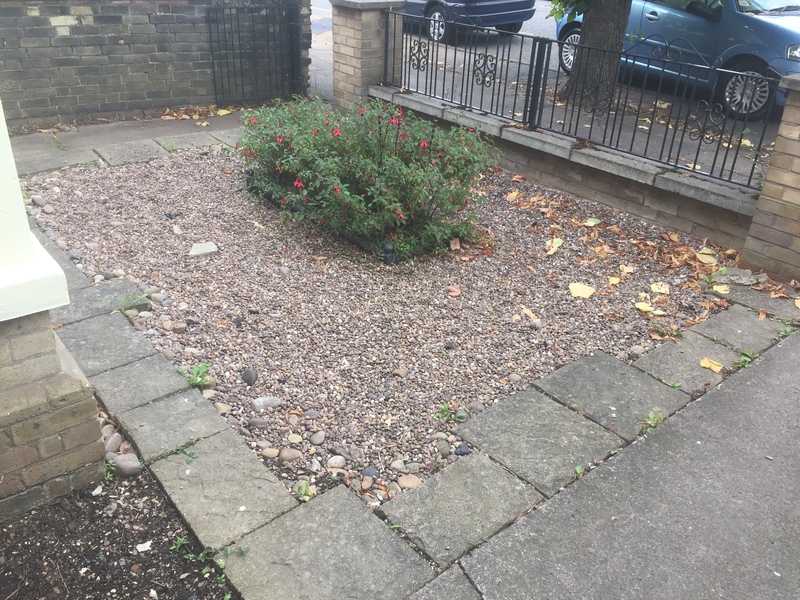 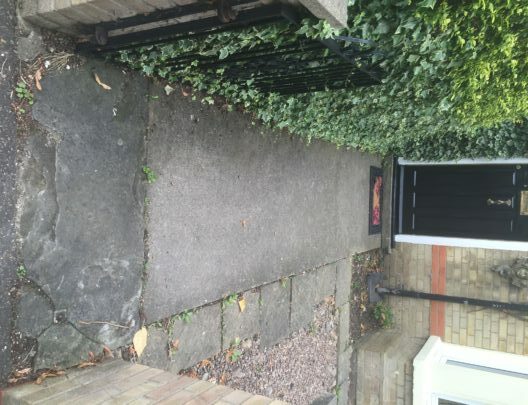 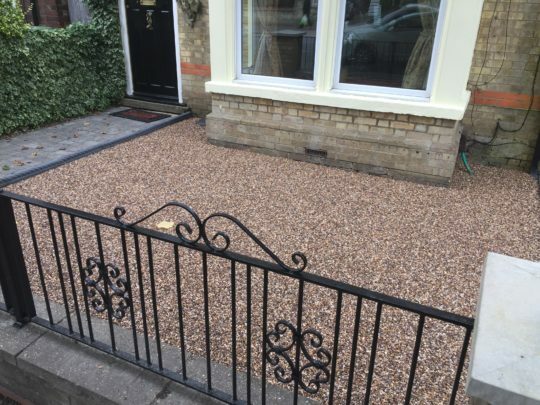 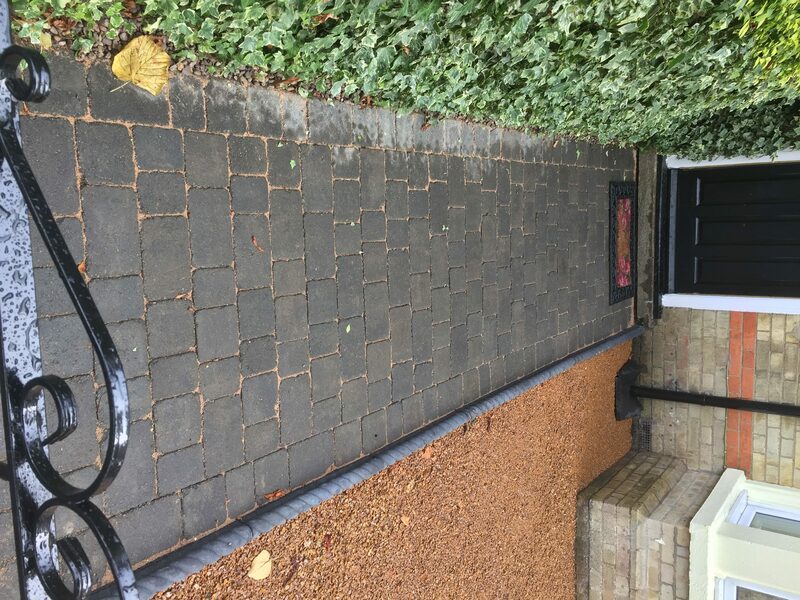 Our clients in Eastfield Road Peterborough wanted to improve the look of the front of their garden/yard but to keep the look in keeping with the rest of the property. 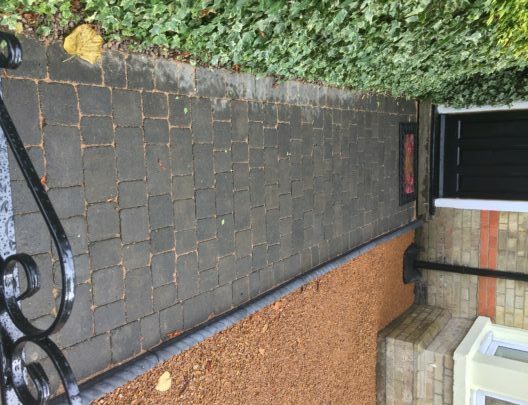 After a visit to discuss the different types of blocks and design ideas with our clients, they decided on a dark tegular block for both footpaths, with the centre piece to be seperated with dark rope edging. The centre piece which was previous decorative stone was replaced with a gorgeous Resin insert using Brittany Bronze aggregate. 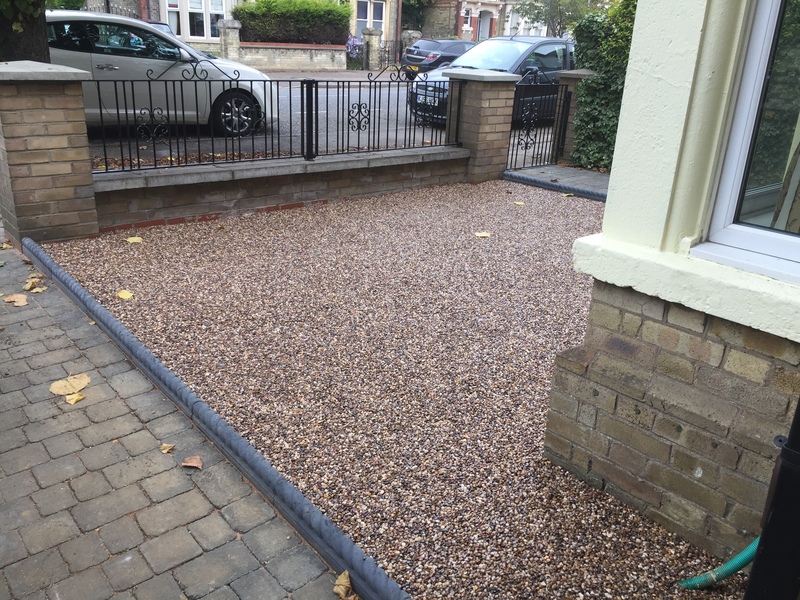 Two old coping stones were also replaced and the wall repointed in places. Our clients love the transformation.